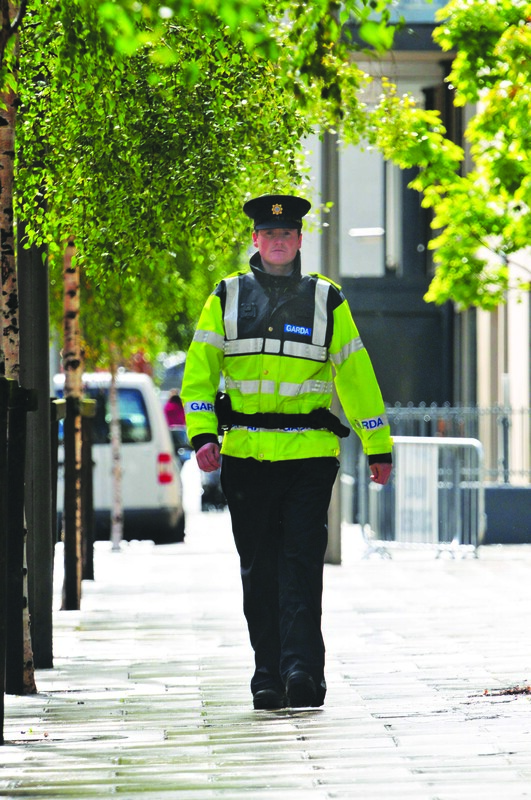 EDITORIAL: Within the root-and-branch review of An Garda Síochána that was planned to open last month, the debate on the garda uniform needs to be re-examined. The uniform, by definition, is distinctive clothing worn by members of the same organisation that unites and identifies those people. It also creates and reflects an image of the role they perform in society. There have essentially been three uniform styles since 1922; though the initial founding members were identifiable through just the garda cap, until uniform clothing could be designed and produced in sufficient numbers. The garda ceremonial tunic, that is still issued, dates from the second generation of uniforms. Since 2006, members have worn a more functional version that has attempted to provide both comfort and practicality for varying weather conditions without compromising a formal smartness portraying the professional image and moral authority of gardaí. Perhaps such a solution does not exist. A previous Minister for Justice delayed the introduction of safety equipment as uniform items – he did not want a ‘Robocop’ image for members of An Garda Síochána, but following the horrific stabbing of Garda David Comer and Garda James Hendricks in Dublin, the anti-stab vest was belatedly introduced and quickly became routinely worn by members on patrol and other operational duties. When the anti-stab vest is worn with a necktie, many members complain of discomfort; especially when in a patrol vehicle. Also, with the political need to have ‘gardaí on the streets’, the use of high-visibility yellow jackets – even in daylight hours – became normalised throughout the Force. Once again, different versions were issued for different roles; it has become commonplace to see the high-visibility mountain bike version worn by members on foot patrol. 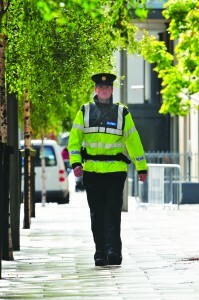 Overall, a meaningful debate should now begin as to whether the intention of garda uniform is to purvey an image of smartness and authority as a symbol of modern Ireland with cap, necktie and black shoes – or a fully functional operational outfit combining high-visibility, anti-stab protection and heavy-duty boots for outdoor duty. Commonsense would suggest the latter version would dispense with the necktie and shirt to be replaced with a liveried “polo-style” t-shirt; replacing the garda cap with a baseball-style that can be more easily stored and carried. The current operational uniform status implies that one uniform fulfils all of the identifiable needs – but then why is there a need to retain the formal uniform that members are directed to wear only at formal public parades, medal presentations and certain official functions? That alone suggests that the formal uniform is slowly being consigned to that of a ceremonial function. Such inconsistency reflects that there is a spectrum with formality at one extreme and functionality at the other. The operational uniform, in it’s current incarnation, is a hybrid between these two extremes and consequently fulfils neither aim. The garda budget for policing has been severely depleted, and pragmatically, now is not the time that anyone in authority is likely to seek investment in the roll-out of new uniform and replacement equipment; but it is timely that the debate commences and is pursued. 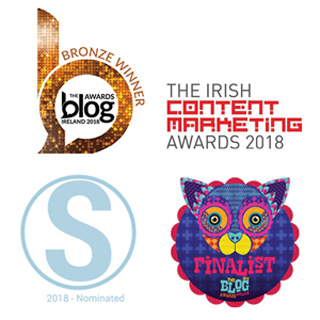 From experience we know that it takes time to fully investigate the best international practice and standard of production, as well as contemporary design and the need to address the operational requirements and a duty of care towards gardaí as employees of the State.